My task in this set of lectures was to provide some background information on chemical tracers of the ocean circulation. Thus, I present in a first section a dimensional analysis of the conservation equation for oxygen in the North Atlantic ocean. Section 2 gives an introduction to some of the most useful tracers, as well as of the species frequently measured: oxygen, nutrients and carbon species. Section 3 describes in more detail the processes at play at the air-sea interface and how they affect the tracer concentrations at the surface. 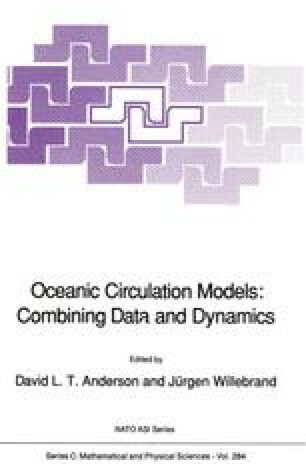 Finally in section 4 two recent studies on how tracers constrain diapycnal mixing in the deep ocean are discussed.